Here are a few fonts that I use when creating Impala like text. Mind you none of them are perfect, but damn near close. Venus Rising - Closest font I found to current model Impala lettering. If you any fonts you liked to add, upload them as attachments on this thread. A great site that used to hold a lot of automotive fonts kicked the bucket. Luckly I did grab some of those fonts long ago. another font that is great that I use for Custom side scripts is sandoval speed. Long story about not using my Mac for biz anymore. 2006 TB SS 400HP LS2 Red Jewel TC. Can anyone tell me what font is used in the Chevrolet emblem off a 73 Impala? ... I found on internet. Bickham Script Pro Regular is a close match, but not quite spot on. Most prominently, the lower-cased 'h' is looped in that font set, but it's good otherwise. I posted a request that's as yet unanswered on MyFonts.com. 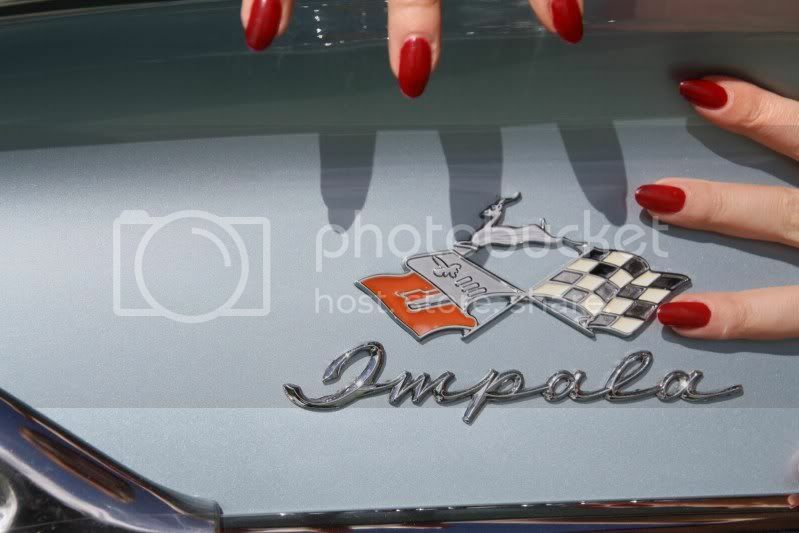 Can anyone help me find what font is used for IMPALA on the 1965 please I need help!